SEMBAWANG TOWN COUNCIL SLEEPING OR WAITING FOR SOMEONE TO DIE? You are at:Home»Caught In The Act»SEMBAWANG TOWN COUNCIL SLEEPING OR WAITING FOR SOMEONE TO DIE? 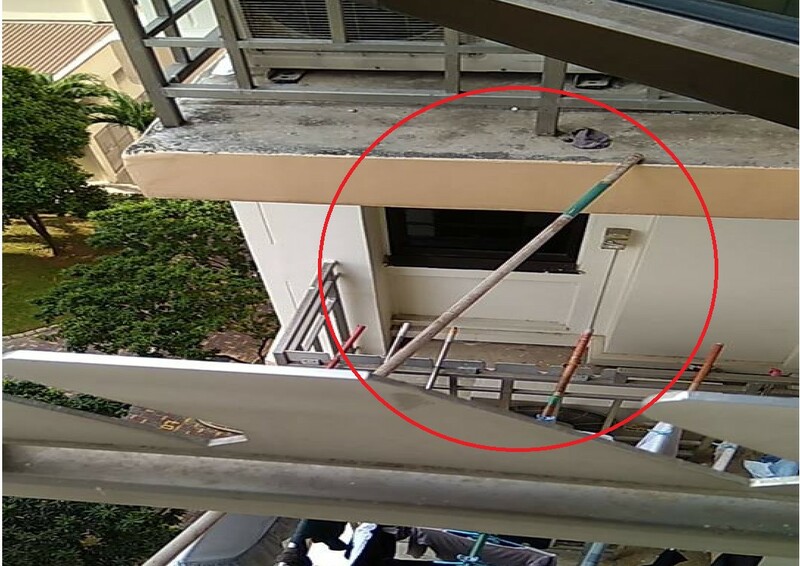 Neighbors upstairs drop the bamboo sticks on my service balcony, called up Sembawang town council at 8.30 am on sat, but till 10.30 still no sign of staff, it’s very dangerous as the bamboo stick might drop any moment but seems that the staff is taking their own sweet time to come. Service and respond is worse than Yishun Town council whose response is immediate and more efficient! Just an update on my post, I was out the whole day on 07 Jul till 11 pm when I return, no call from anyone from sembawang town council and when I came home I found that the bamboo stick is no longer there and not sure has it hit someone as the bamboo stick might be blown off by strong wind. But no one from Sembawang town council think it’s a concern ! But to my surprise someone from xinmin newspapers contacted me about this issue instead ! Next Article WAITED CAUSEWAY LINK FOR TWO HOURS! OVER 100 PEOPLE STRANDED.